The famous Piazza San Marco, known in English as St Mark’s Square, is the main public square in Italy’s floating city, Venice. While it’s one of the biggest tourist attractions in Venice drawing crowds all year round, the square’s iconic beauty means that it’s also something every visitor needs to see at least once! The popular Piazza San Marco, known amongst locals as ‘La Piazza’, is found at the southern base of the Grand Canal. Inside it’s surrounded by stunning Baroque and Victorian era buildings and monuments. As soon as you step into the square you’ll realise why it’s become one of the most visited sites. A place that Napoleon once referred to as ‘the drawing room of Europe’, the gothic style of St Mark’s Square is truly a sight to behold. From the unusual yet breathtaking Basilica San Marco and its soaring bell tower, to the oldest café in the world. Even those infamous pigeons who stalk the square in droves – there’s something new and amazing at every turn. Despite the heavy tourism, there are plenty of ways go off the beaten track around Piazza San Marco. Here’s how best to visit St Mark’s Square, mix with the locals and enjoy a more authentic experience. Due to its popularity, we recommend that you head to PIazza San Marco first thing in the morning to avoid the big crowds. Start your day in this magical square with a sit-down coffee at one of the cafés before moving on to see the rest of Venice. Be careful when visiting during periods of heavy rain, as the square is prone to flooding. You should reserve at least half an hour to visit Piazza San Marco. A little longer if you want to stop for a coffee or visit the Basilica San Marco or Museo Correr. Dress comfortably on your trip to Piazza San Marco. You’re likely to be doing a lot of walking and exploring all day, so wear relaxed shoes and clothing. If you’re having lunch or dinner at a particularly exclusive venue, go for something that’s chic yet relaxed. The Basilica di San Marco in Venice is the most famous church in the city. You’ll find it at the eastern end of the Piazza San Marco. The beautiful domed building is known for its Italo-Byzantine architecture, opulent design and incredible gold ground mosaics. It’s these features that have given it the name ‘Golden Church’, or ‘Chiesa d’Oro’. 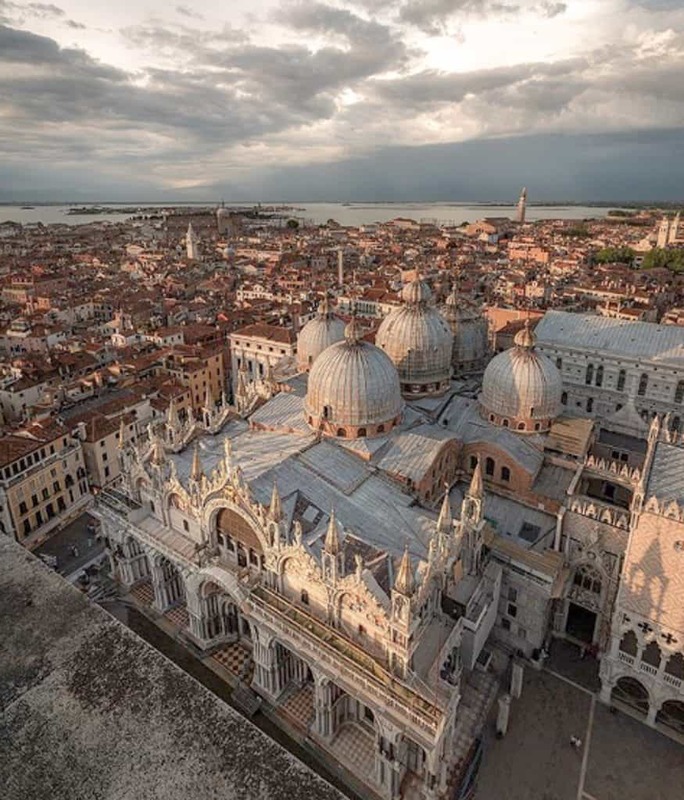 Today, you can visit the inside of Saint Mark’s Basilica free of charge. Those who are keen to see more can also visit the museum for a small fee. That’s where you’ll uncover the original bronze horses that used to appear on the basilica’s facade. 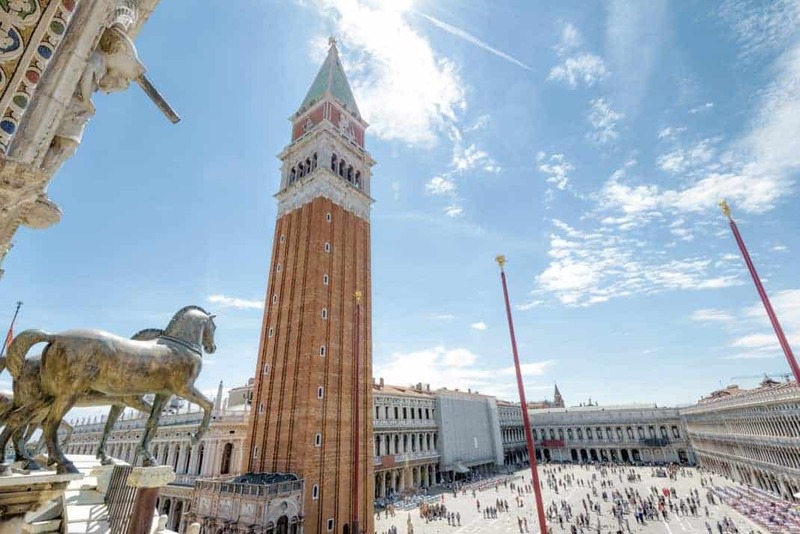 Finally, just outside you’ll also spot the slender Campanile di San Marco – the basilica’s bell tower and one of the piazza’s most recognisable landmarks! 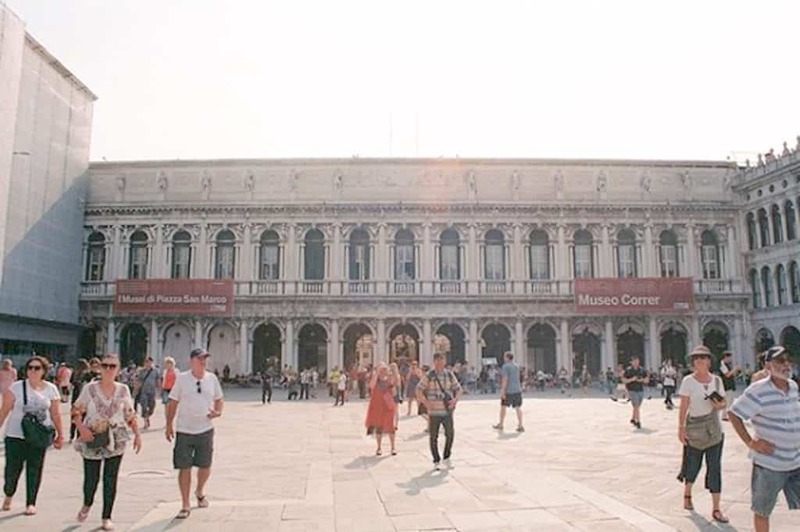 Museo Correr is a fine arts museum found in Piazza San Marco. From the Neoclassical Rooms in the Napoleon Wing to the spacious rooms of the Procuratie Nuove. 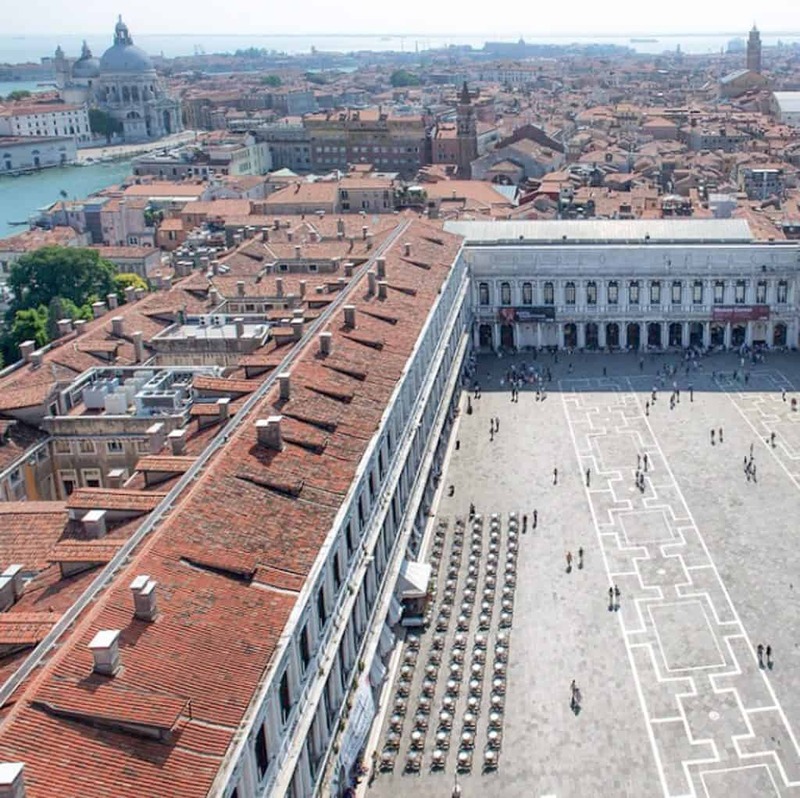 Museo Correr offers a wonderful insights into Venetian history, culture and art. Here you’ll discover the daily life of Venetians through the ages and see fascinating examples of their art up until the early 16th century. Even if you’re not a big admirer of classical art, it’s worth a visit for the amazing views over the Piazza! Here’s an interesting fact – because of its trading history with the Arab world, Venice is where the European tradition of coffee was born! So it’s no surprise that you’ll find a whole selection of famous cafés on this lagoon city. The most famous is Caffè Florian which dates back to 1720 – the oldest coffeehouse in the world. Piazza San Marco is also home to a few other famous cafés spilling out from the beautifully arcaded ground floors like Gran Caffè Quadri and Caffè Lavena. It’s the perfect place to start your morning in Venice!